If you know me or have read my reviews before, you probably know that I’m a big Marvel nerd, and I love all the Marvel Cinematic Universe (MCU) movies put out by Marvel Studios. This is different than the “Marvel” movies put out by Fox or Sony Studios. Let’s have coffee or a beer sometime and discuss why the X-Men, Fantastic Four and Spider-Man movies are vastly inferior to the Avengers series or Guardians of the Galaxy. I grew up reading comics, and I gravitated toward Marvel most of the time. The current crop of Marvel Studios movies follow a formula, just like the comics do. The stories may be different, the styles may change, but the underlying “Marvel core” is always there. Ant-Man is no different. IN A NUTSHELL: Ant-Man is a lighter, more personal film. The fate of the universe isn’t at stake. The Avengers don’t even need to be called in. 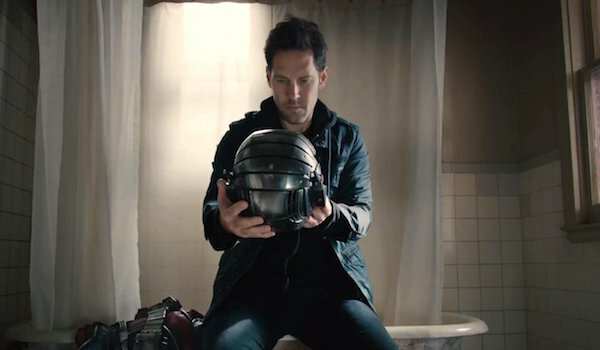 THE CAST: Paul Rudd plays burglar Scott Lang as he plays every character—likable and with a dry comedic bent. Michael Douglas co-stars as Dr. Hank Pym, inventor of the “Pym Particle” that allows matter to be shrunk and expanded at will. Douglas plays the part of the older mentor with an adventurous past well. Evangeline Lilly is Hope van Dyne, Hank Pym’s daughter. 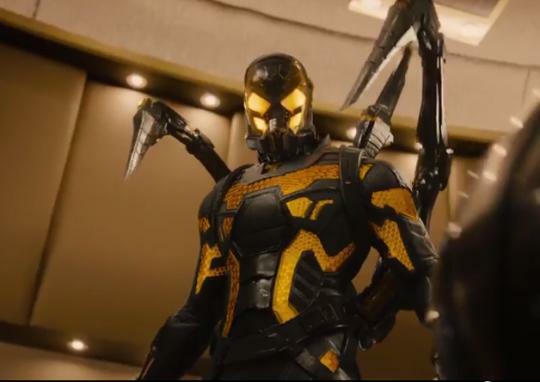 Corey Stoll rounds out the main cast as Darren Cross, the former protege of Pym that has taken up the Doctor’s research to deadly effect. There is a decent supporting cast that at first may seem like bad stereotypes. Thankfully, the movie manages to push past that. THE EFFECTS: It’s a modern movie. Expect lots of CGI. The way the shrinking and growing effects are realized is spectacular, as is the giant world around Ant-Man. I generally don’t see or like movies in 3D, but the effect was used very well in the 3 dimensions. THE DIRECTION: This has been a troubled production. Originally intended to be part of the first wave of Marvel Studio’s films, it was pitched by Edgar Wright as far back as 2003. Wright left the production shortly after the film went into production and was replaced by director Peyton Reed. That said, the film still works. I probably would have have preferred to see Edgar Wright helm this one and you can even feel Wright’s influence on the script and flow of the film. However, Reed did a decent job of picking up the pieces. This could have easily have been Marvel Studio’s first “flop”. Instead, we get a light, fun and funny heist film. While not as funny as James Gunn’s Guardians of the Galaxy, Ant-Man still hits its comedic beats quite well. CAN KIDS SEE IT? Kids are going to want to see it. The concept of shrinking down and seeing our “normal” world in a whole new light has sparked imaginations for a very long time. I think this is the most family-friendly of the Marvel Studios movies so far. Nothing really scary happens beyond the typical chase/battle/explosions that you should come to expect from Superhero movies. There is stylized action violence, and there are a few swear words. The story revolves around the concept of second chances and reconciliation, as well as mentoring the next generation. AFTER CREDITS SCENE? Of course stay after the credits. There are two again, one mid credits and one after all the credits have rolled. They set up things for the next MCU films. WHAT DID YOU THINK? Did you enjoy the movie as much as I did? Did you think it was terrible? Let me know in the comments below! BONUS! 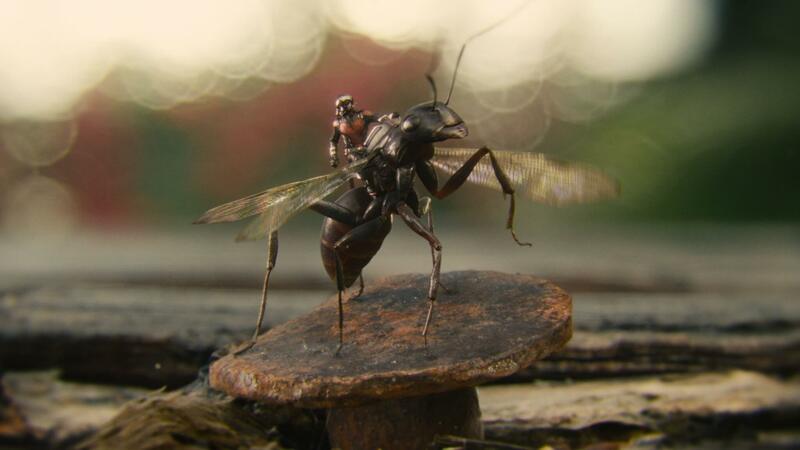 Did you ever see the Ant-Man test footage Edgar Wright shot? Well, here it is! Retro action figures – a new twist on old toys.